The FlexiROC T20 R is equipped with the COP 1435 rock drill, which has nearly 30 percent higher impact energy and 30 percent higher rotation torque than the earlier rig model. 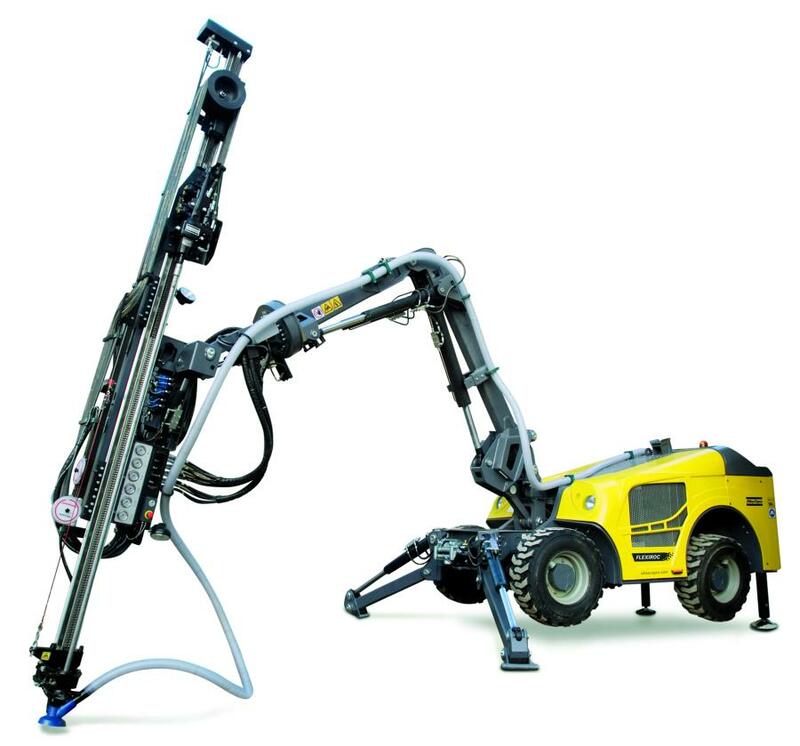 Drillers looking for more versatility from a drill rig will appreciate the features that earn the compact, radio remote controlled Atlas Copco FlexiROC T20 its ranking as best in class. The rig's upgrades come in response to input from drillers. Not everything has changed. Commonality of parts with Altas Copco drill rigs such as the FlexiROC T15 R and FlexiROC T30 R ensure rig reliability with maximized uptime. However, the FlexiROC T20 upgrade employs an upgraded rig control system with next-generation electrical and hydraulic components, and comes standard with preinstalled Radio Remote Control (RRC). The FlexiROC T20 R is equipped with the COP 1435 rock drill, which has nearly 30 percent higher impact energy and 30 percent higher rotation torque than the earlier rig model. Overall drilling performance has increased as much as 40 percent due to a combination of 18.7 hp impact power and the rig's smooth cylinder feed action, according to the manufacturer. Additional rig enhancements include a reinforced drill steel support, redesigned hose routing with three bulk-heads, a new front facing feed holder and improved access for servicing. The rig's BMH 2000 cylinder feed is available in three different lengths.